Hi, I hope your Thanksgiving was as beautiful as mine was. Family is everything! Welcome to the Black Friday Blog and the launch of the new Heartfelt Creations products...the amazing flower shaping molds and the new journals. 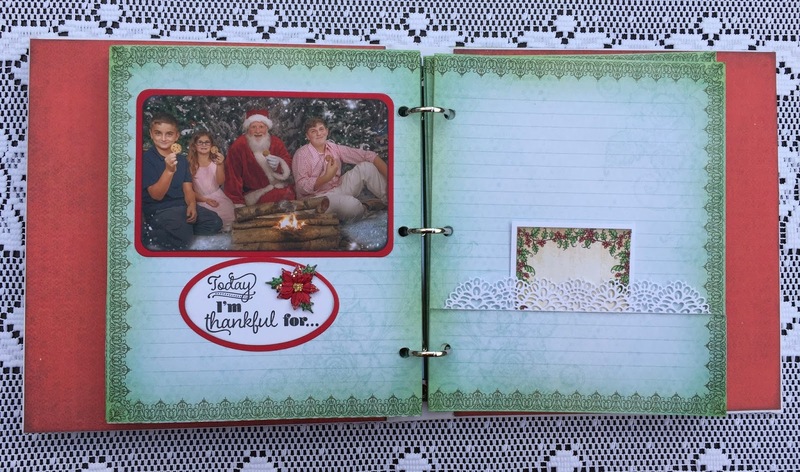 I created lots of beautiful poinsettias so quickly for my journal using the new molds. I love these new products and there are fabulous Black Friday deals on the Heartfelt Creations website. Be sure to visit. My beautiful grandchildren are the stars of my journal...I hope you like it. Instructions: Journal is 8 1/4” x 9” x 1 1/2” deep. Cut the papers with the windows on them from the Winter’s Eve Paper Collection to cover the outside of the journal. Cut the front and back pieces 8 1/4” x 9” each and the piece for the spine 1 1/2” x 9”. 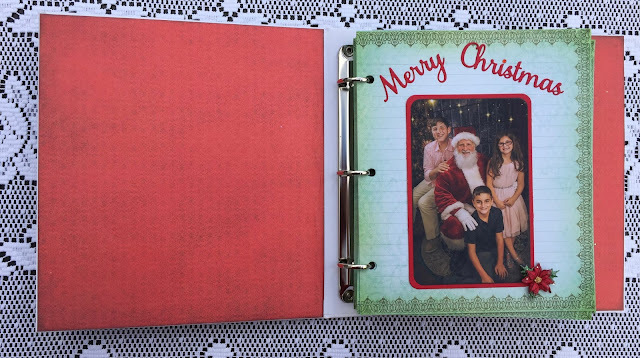 Cut two pieces of the red paper from the Festive Holly Paper Collection 8 1/8” x 8 7/8” each for the inside covers. 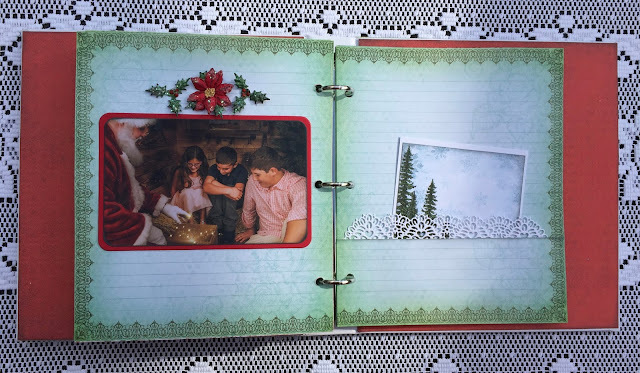 Ink all of the edges with London Fog ink and adhere the papers to the journal using Dries Clear Adhesive. 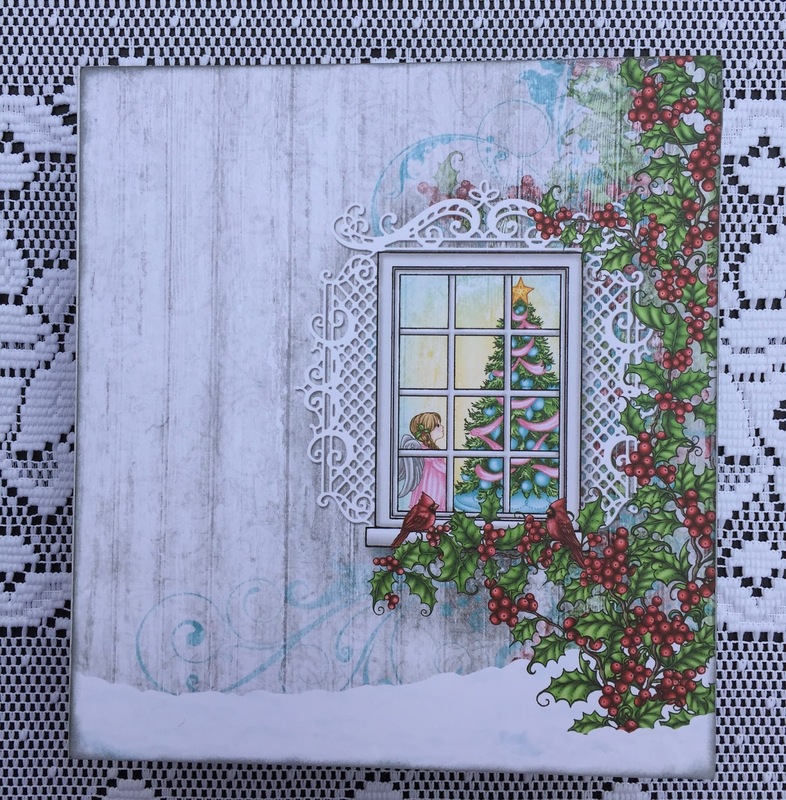 Stamp the Window Frame Stamp on white cardstock using London Fog Ink, diecut using the Window Frame Die and ink the edges with London Fog. Diecut a piece of clear cardstock to use as a window. 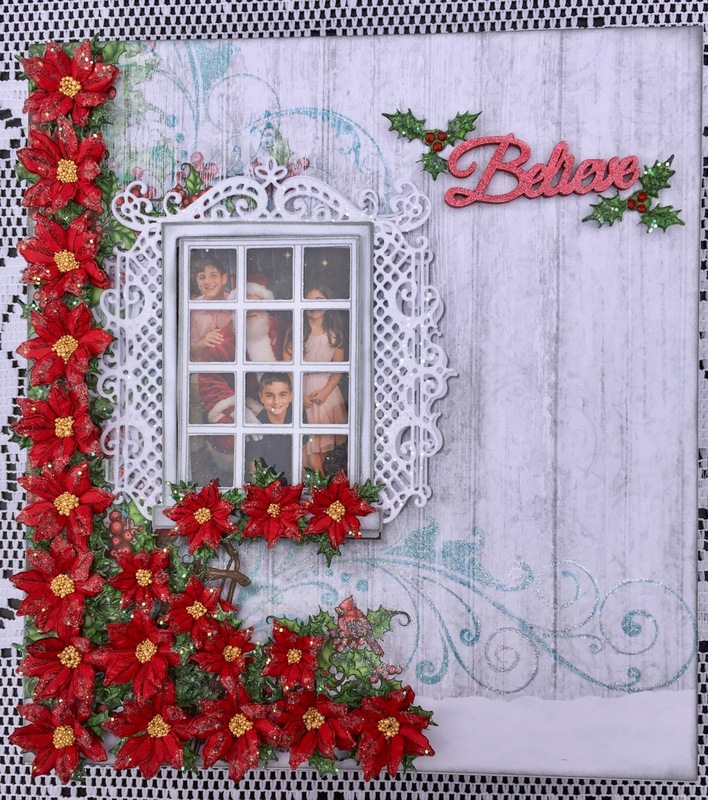 Diecut the decorative elements from the Window Box Elements Die, sponge with Dries Clear Adhesive, add Rajni Chawla’s Crystal Clear and adhere to the window frame. Choose a photo to place behind the window and adhere it to the front cover. Adhere the complete window over the photo using Darice Adhesive strips. Stamp the poinsettias on red cardstock using Tuxedo Black Ink. Stamp the Holly leaves on green paper from the Winter’s Eve Paper Collection with Tuxedo Black and diecut the flowers and holly with the Poinsettia and Holly Clusters Die. 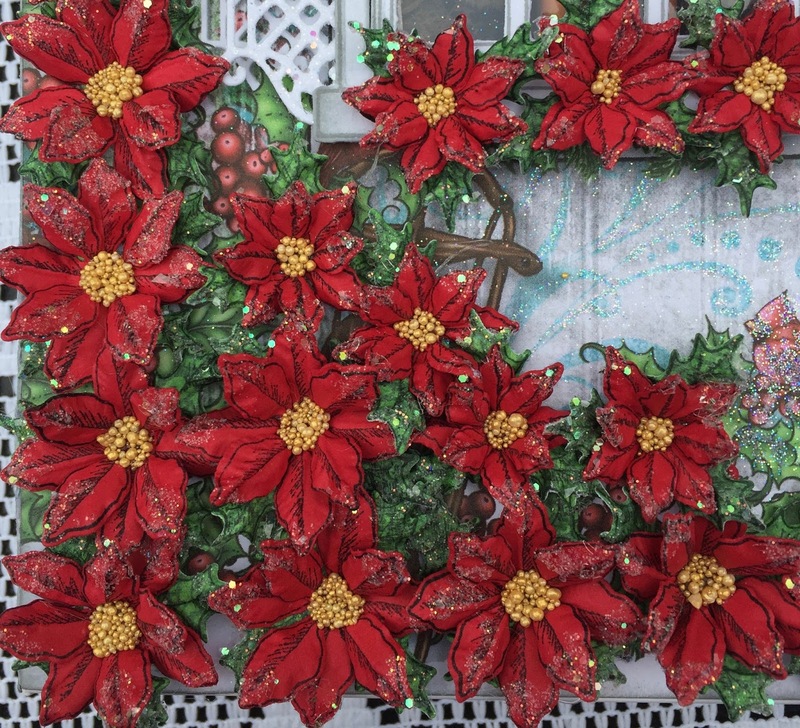 Place the poinsettias and holly in the 3D Mold, stamped side down, spritz with water, cover and run through die cutting machine. Uncover, place the molding mat from the deluxe flower shaping kit over the mold and tap the flowers and Holly out on the mat, press down lightly in the middle of each one with the stylus. Let dry and the flowers are completely shaped. Repeat this process as many times as needed to create approximately 16 large and 18 small completed flowers. When the poinsettias and holly are dry, offset one same size flower petal on top of another, adhere together and then adhere to holly leaf. Sponge the flowers with dries clear and sprinkle with Crystal Clear. Add a little glue to the flower centers and add Heart of Gold Prills. 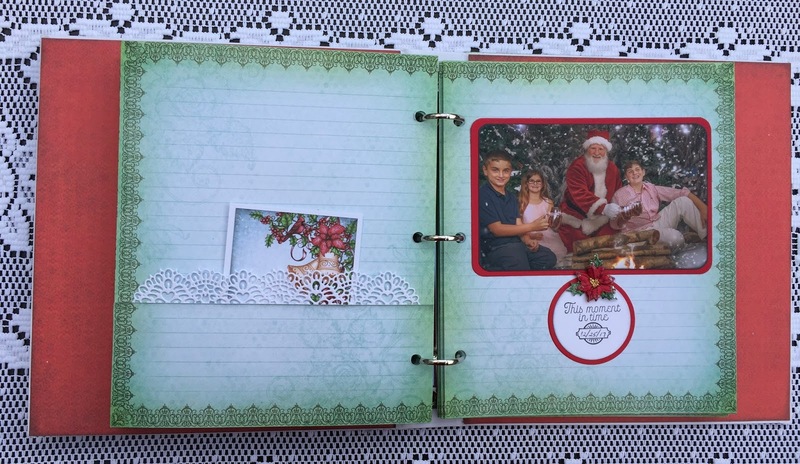 Decorate the front cover with the completed poinsettias as shown. 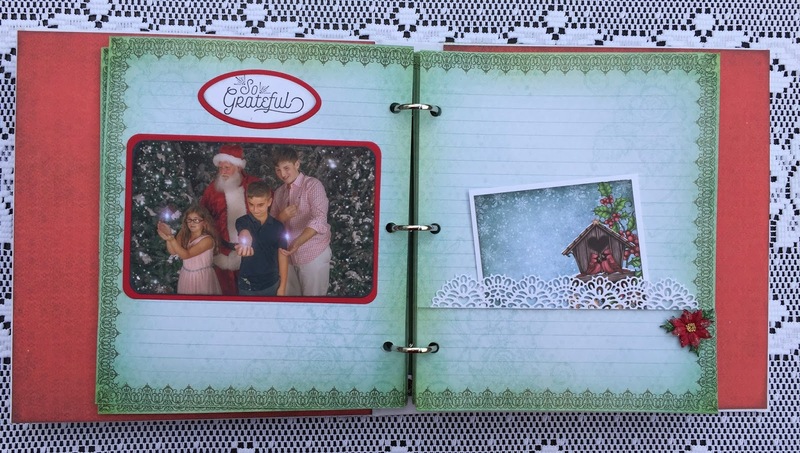 Use the Quickie Glue Pen to outline all of the swirls and designs on the cover and sprinkle with Ultrafine Transparent Glitter. Color the “believe” embellishment with Carmine Red 3D Stamp paint using a sponge. Add red Nuevo Crystal drops to two Holly leaves and adhere these to the front cover. Adhere the fronts of the Heartfelt Inspirations Journal pages together so that only the green lined sides are shown on the front and the back. Create 12 double sided pages. Create pockets for nine of these pages by cutting more of the green lined pages at 2 1/2”. 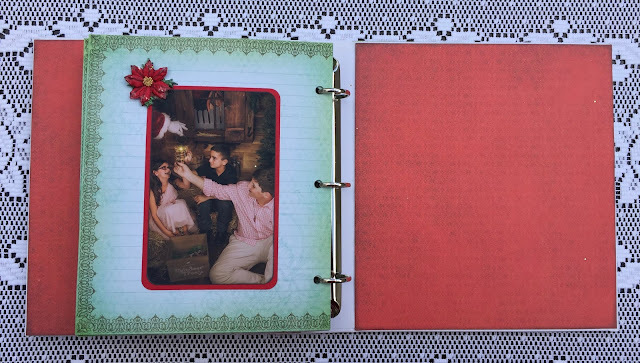 Cut nine of the Sweetheart borders from white cardstock, adhere to the tops of the pockets and then add Dries Clear Adhesive to the edges of the pockets and adhere to nine of the pages. 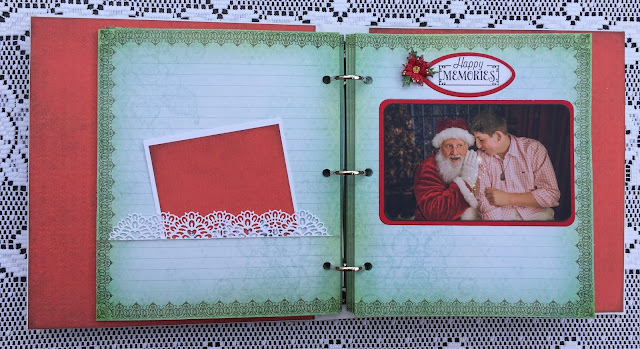 Cut nine of the journal cards from the Winter’s Eve Paper Pad and ink the edges with London Fog Ink. Cut white cardstock 1/4” larger than each journal card and adhere the cards to the cardstock. Place the journal cards in the pockets. 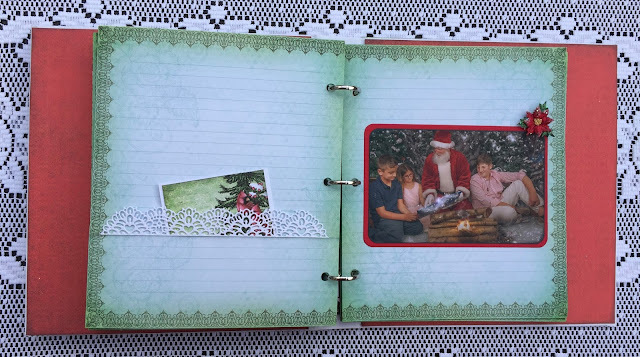 Diecut the Merry Christmas from red cardstock and add to the first journal page. Use the Swarovski Crystal to dot the “I”. 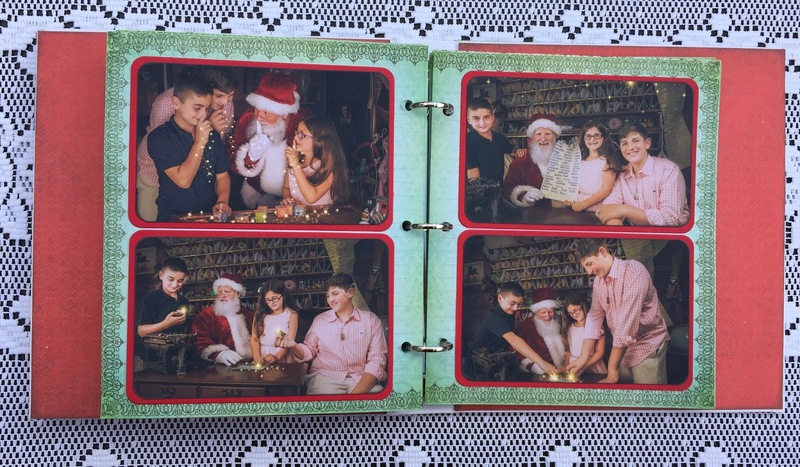 Diecut 4” x 6” photos using Cut Mat Create 1B Die. 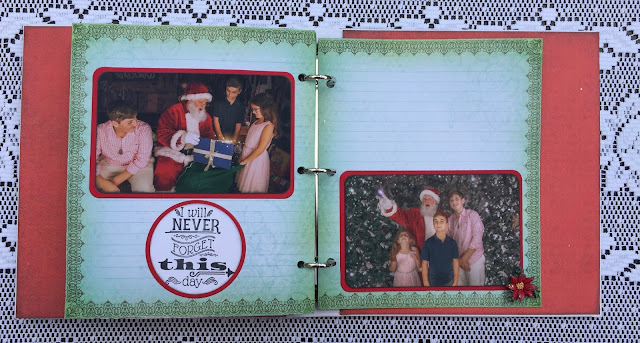 Cut a real red mat for each photo with the Cut Mat Create 1A Die and adhere together. Add photos to the journal. Stamp all of the sentiments from the Today’s Quotes Stamp Set on white cardstock with Tuxedo Black Ink. 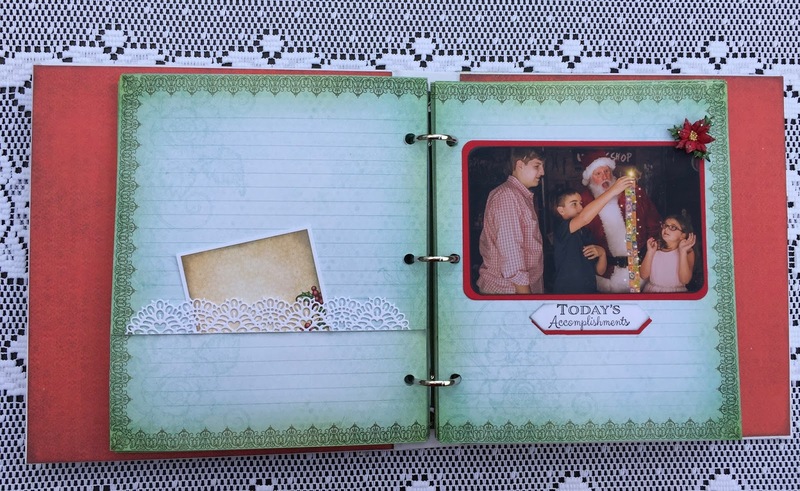 Die cut with the Ovals and Circles Basics Dies and the Simply Classic Die. 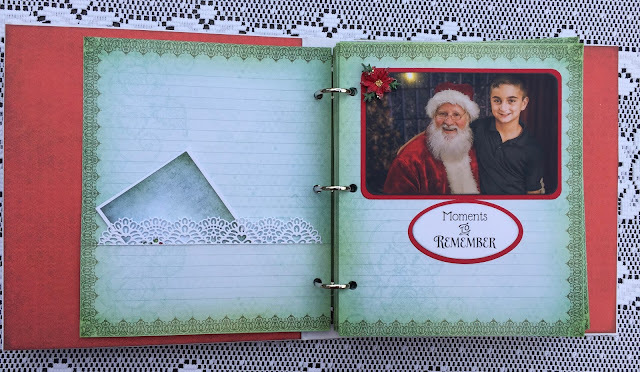 Cut mats for each sentiment from real red cardstock, adhere together and add to the journal pages. Add a Poinsettia to each page and the journal is ready to use. Thank you for stopping by and be sure to visit the Heartfelt Creations site to see the fabulous projects created by the amazing Design Team. Don't forget to place your order while you're therefor the fantastic deals being offered only today! Thank you so much Susan! I love poinsettias too and I love making them with the new mold!!! Great Christmas album Janet! I love all the poinsettias, that mold is fantastic isn't it! Thank you so much Robin! OMG...the mold is AMAZING!